More than 2,400 acres of scenic forestland north of Glenwood in Klickitat County will become a community-managed forest under a resolution approved today by the state Board of Natural Resources. The board authorized the Washington State Department of Natural Resources (DNR) to complete the purchase of the tract from Hancock Timber Resource Group, which has sought for several years to sell the land. The area will now be known as the Klickitat Canyon Community Forest. The acquisition safeguards a unique diversity of wildlife and protects three miles of the state’s longest undammed river. “In response to strong local input, DNR is creating this community forest to help provide local timber jobs, access to public recreation and vital habitat,” said Commissioner of Public Lands Peter Goldmark. Nearly all of the $4 million needed to purchase the tract will be paid through a grant from the federal Forest Legacy program, which works with states to keep working forestlands intact. The Columbia Land Trust will contribute $96,000 to the purchase. An advisory committee made up of representatives from the community and local governments will develop a management plan for the forest. Working under an agreement with DNR, the Columbia Land Trust will coordinate the development and implementation of a community-approved management plan that is compatible with DNR’s goals to support fish and wildlife habitat and provide public access to recreation. Revenues earned from the forest will reimburse management costs and accomplish objectives set out in the management plan. Adjacent to DNR’s existing 2,335-acre Klickitat Canyon Natural Resources Conservation Area, this newly acquired property will be managed as a community forest, meaning that the property will be managed according to a plan developed in consultation with a local advisory committee. The community forest designation allows multiple uses, including managing the land for forestry to the benefit of contractors, mills, and communities throughout the Klickitat region. Designated a National Wild and Scenic River, the Klickitat flows roughly 95 miles from the Goat Rocks Wilderness Area through the Yakama Nation Indian Reservation, then through a mosaic of private forests and ranchlands before its confluence with the Columbia River. The watershed supports a stunning variety of wildlife, including 15 federal and 21 state-listed species and species of concern. Endangered salmon and steelhead continue primordial migrations while mule deer, bear, mountain goats, golden eagles, and numerous rare plants inhabit the rugged terrain. The conserved project area will help maintain habitat connectivity along the East Cascades migration corridor and support species resiliency in the face of a changing climate. Columbia Land Trust initially identified the project area as a prime conservation priority in 2012 and partnered with The Conservation Fund to secure funding for the acquisition. The Land Trust devised its conservation approach through collaboration and dialogue with local, state, and tribal stakeholders. The Forest Legacy Program (FLP), a program of the U.S. Forest Service funded through the federal Land and Water Conservation Fund (LWCF), provided $3.9 million dollars in funding for the Klickitat Canyon conservation project while Columbia Land Trust contributed $96,000 to the closing of the transaction and Washington DNR contributed a critical match through the State Trust Land Transfer Program. The FLP supports state efforts to protect environmentally sensitive forest lands. LWCF is a bipartisan, federal program that uses a percentage of proceeds from offshore oil and gas royalties, not taxpayer dollars. LWCF is annually funded by the U.S. Congress, including Washington’s U.S. delegation representing Klickitat County: U.S. Senator Patty Murray, U.S. Senator Maria Cantwell and U.S. Representative Jaime Herrera Beutler. 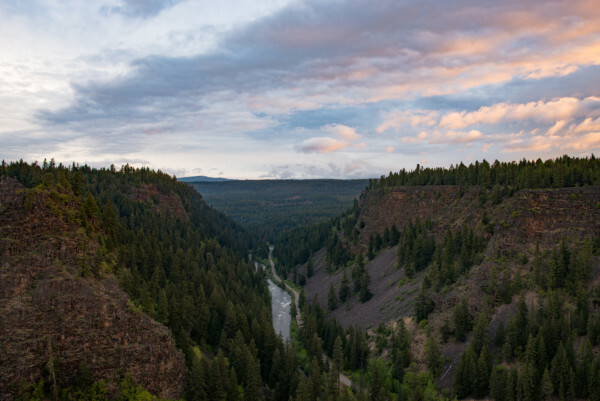 The Klickitat Canyon conservation area builds on Columbia Land Trust’s commitment to the broader Klickitat River watershed. The Land Trust conserved 3,300 acres across 11 properties in the watershed prior to this project. What i do not understood is in truth how you’re now not actually a lot more well-preferred than you may be right now. You’re very intelligent. You recognize thus considerably relating to this topic, produced me individually imagine it from numerous numerous angles. Its like women and men don’t seem to be interested except it’s one thing to accomplish with Girl gaga! Your personal stuffs outstanding. At all times take care of it up! Fantastic items from you, man. I’ve be aware your stuff prior to and you’re simply extremely wonderful. I really like what you have obtained right here, really like what you are saying and the way during which you are saying it. You are making it enjoyable and you continue to take care of to stay it smart. I cant wait to read far more from you. This is actually a tremendous web site. Thank you for another informative blog. Where else may I am getting that type of information written in such an ideal way? I’ve a undertaking that I am just now running on, and I have been on the glance out for such information.